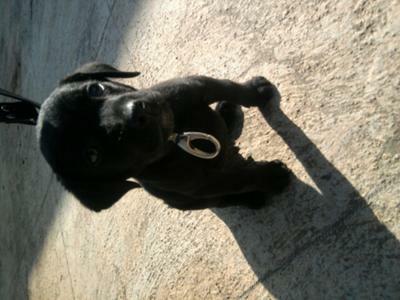 My black lab is just 42 day's old, very active and bold, fast learner. I started training him within 2day's he started to obey my commands like sit and stay. Walking doesn't satisfies him, he want's to play a lot. when i brought him to my house he was just 38day's old in next 3day's he sniffed out the rat which was hiding in my house terrace.